You innocently attempt to order just appetizers and the waiter interrupts to inform you—with perhaps a little more sass than is necessary—of the restaurant’s policy that you must order your entire meal at the same time. “The kitchen will not accept partial orders,” he says. You haven’t decided on the rest yet so you tell the waiter you just want to “fire up some apps” in the meantime. In fine dining establishments and high-volume restaurants, incomplete ordering is a divisive issue—probably one of the most common and unavoidable sources of tension between waiters and their guests. But why do so many restaurants need you to order everything all together? Is it really that big a deal? First of all, let’s consider the misconceptions. Though it can be true in some cases, most waiters are not asking for the whole order so they can hustle you through your meal and turn the table. We do our best to to fire your food on a reasonable schedule—measuring time according to how quickly you eat. Ordering everything all at once helps to facilitate—though not necessarily guarantee—the seamlessness of the timing. Some diners withhold the complete order as a way of guarding against being rushed by a trigger-happy server or a passive-aggressive kitchen. While protesting the rules may result in your having more time, it also often ends up causing uncomfortable delays and undesirable hiccups in service. It all seems so easy until you actually understand how a professional kitchen operates. In order for a restaurant to have a healthy heartbeat, things must be staggered in a way that keeps blood moving through the arteries and prevents clotting. This starts the moment you make your reservation. Instead of booking six tables all at 7pm—the time all six parties would prefer to dine—the restaurant will attempt to spread out the reservation times. (i.e. Book two tables at 6:45, two at 7 and two at 7:15) When you are seated, the maitre’d or host is also trying to spread guests throughout the dining room to avoid overloading each server’s section. Asking to be moved may create havoc for service when you migrate into a section that is too busy to accommodate you. The rotation that goes on in the kitchen is even more delicate. There are only so many orders a kitchen can handle simultaneously. Every kitchen has a finite number of cooks physically capable of cooking only a finite number of dishes over a specific period of time. To make it work, the dining room is seated in intervals to give the kitchen ample time to stay organized. Sometimes when you feel pressure from a server to order more quickly it may be that the chef—concerned about a deluge of new orders—is pressing them to hound you. 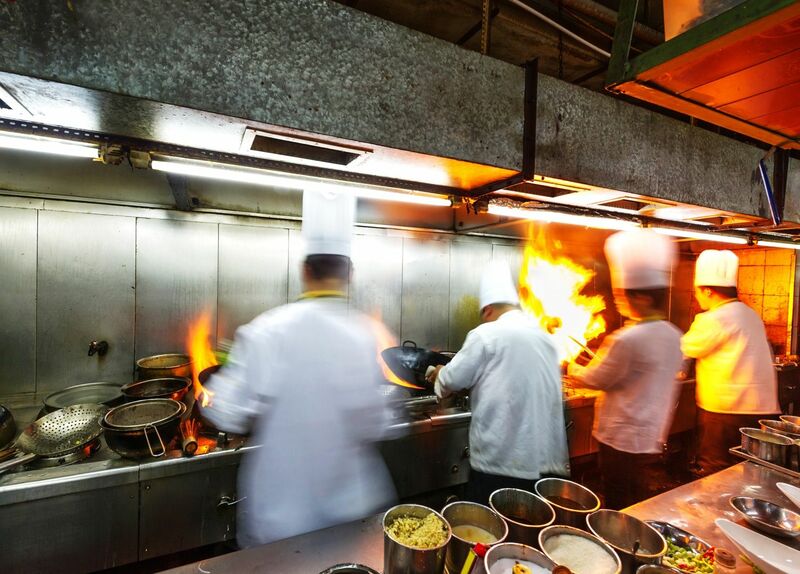 On their busiest nights, many kitchens are forced to fire food even when a table isn’t ready because they have to make room for the new orders that are piling up. When parties are seated incompletely or when they insist on ordering piecemeal, it throws gasoline on the fire. If your party hasn’t fully arrived for a half an hour after your reservation time, you are now encroaching on the next tier of tables. The same thing happens on the golf course when people aren’t punctual about their tee times. It has a domino effect that will slow down everyone’s round. As a result, the kitchen will most likely be saddled with a heavier workload than they can handle. 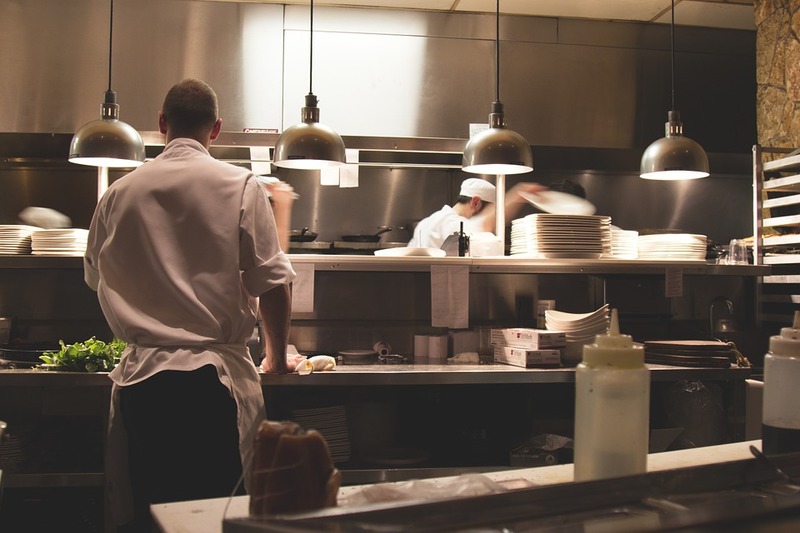 Ordering your meal in fragments has an even more deleterious effect on a kitchen’s ability to perform. In order to understand this more clearly, we need to consider the division of labor in a kitchen. 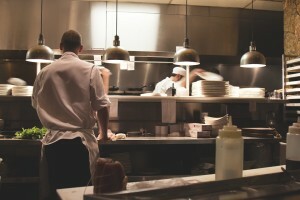 Most kitchen lines are divided into sections: cold appetizers (garde manger), sauteé, grill and pastry. Depending on the cuisine some restaurants may also have satellite stations that fulfill a peripheral part of the menu like raw bar, sushi or pizza. There will usually be someone who “expedites” the kitchen, the conductor—his job is to keep the cooks organized while tickets are spitting furiously out of the printer. Every station has a threshold of how many dishes it can produce at once. So, the expediter tries to create a manageable plan for them, screams it out loud and, if necessary, cracks the whip to make sure everyone is on task. If the kitchen is left in the dark about what you are having for your next course, it inhibits the expediter’s ability to make a cogent plan. In the time you spend waiting to place the rest of your order, a handful of other tables have ordered their entire meal. The expediter has created a plan for his line cooks based on the information he has. New information cannot be added without threatening the balance of the rotation already in place—not without making the other tables who ordered before you wait longer than they should. Think of it like cutting the line to get on an amusement park ride. If you constantly allow people to order this way, the ones who have been patiently waiting will end up getting screwed. It’s all about the flow. Responsible diners need to learn to be more trusting when restaurants set policies like not allowing incomplete orders or seating incomplete parties. We aren’t trying to make your life more difficult. It’s the opposite. We know our restaurant better than you. It isn’t always going to function the way you want. But it wont function at all if we can’t run it our way.